This is the second year for this and I am pushing it on every damn podcast or site I can get time on. The concept is simple. I want you (yes, YOU) to send a Christmas card to CCP. Not a digital thing but an honest paper and stamp card. I push it early because we are talking international mail and its speeds. Yes, we give them our money, yes they are a company but they are a company that keep us entertained and I figure one card from each of us wouldn’t be that hard to send off in thanks for the fun we have. Mine hit the post this week, handed to a moose who will trek it to the nearest beaver station and then tail slap-shot on a puck to the border and then into civilization. Join in, confuse the poor folks in the frozen darkness and bury them in cards. Christmas, winter solstice, Hanakkuh , Kawnzaa, whatever your holiday . . . go for it. A fancy card or crayons on a paper bag. Handmade or store bought. Just do it. 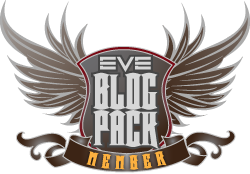 This entry was posted in Uncategorized and tagged eve online, Northern Troll, OOC. Bookmark the permalink. Cry Havoc and let loose the cards of Christmas! One card its way from the Antipode. Another card on its way to Iceland from sunny Oz. Not sure if it’s too late or not. I think I just got a custom card shipped from the U.K. to Iceland, but it might also be being shipped from California. Hopefully It’ll get there just fine! Thanks for the reminder on the Podcasts Mike! o7 Glad to send something to CCP.